If one could distill, bottle and commodify the inspiration that enveloped the Rotorua Novotel hall which housed the one-day Matariki X conference this past Saturday, it would surely provide sufficient fuel to propel the Māori economy into orbit and the wellbeing of our people along with it. Indeed, Matariki X’s opening keynote speaker, pioneering animator Ian Taylor originally from Raupunga, wowed us with digital technologies that could visually transport us there. 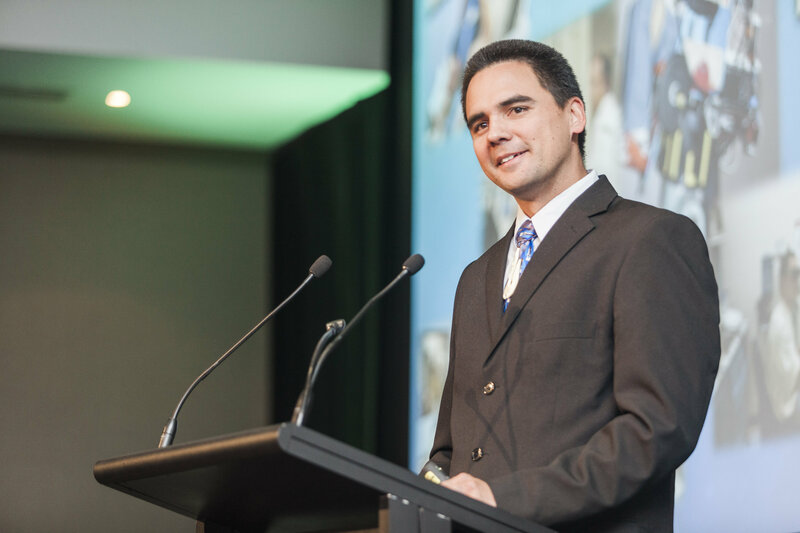 However, it was closing keynote Mana Vautier from Whakarewarewa, a NASA engineer and aspiring astronaut, who has within his grasp the means to physically get us there. Lets hope he achieves his mission to be the first Māori on the moon. 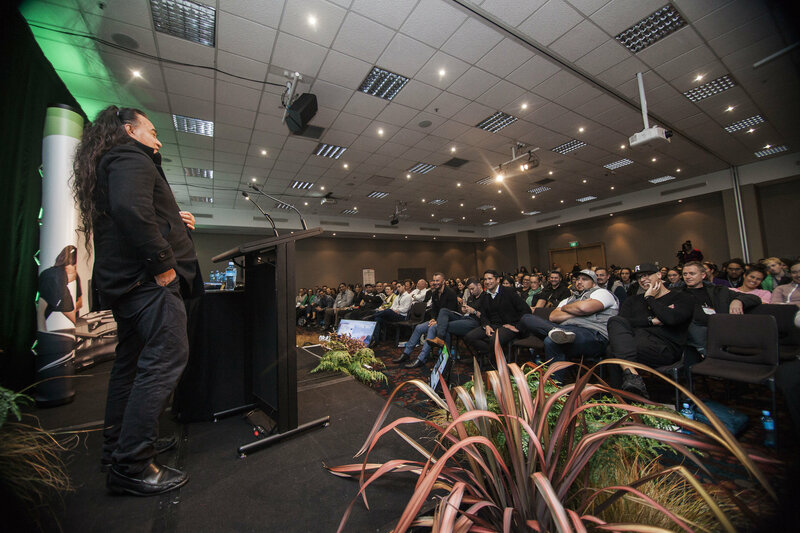 With around 350 delegates packed in, we were treated to one of the most remarkable ensembles of Māori innovators and entrepreneurs one could ever hope to witness. And yet one gets the distinct feeling that this is just the beginning, the beginning of something grand, that the rangatahi present and our mokopuna to come, will one day exploit for the good of all, Māori mai, Pākehā mai. The voices of the kaikaranga followed by esteemed Te Arawa elder Pihopa Kingi, and other members of the mana whenua Ngāti Whakaue, ushered us in. Waiwhetu Marae chair and parliamentary kaiwhakarite Kura Moeahu replied on behalf of the visiting party and Te Kura o Te Koutu principal Uenuku Fairhall, retrieved the māuri of the huihuinga. No conference is without opening remarks from officialdom, to which we were admirably served by Mayor Steve Chadwick, Ngāti Rangiwewehi stalwart and Minister for Māori Development the Hon Te Ururoa Flavell, and primary sponsor Callaghan Innovation represented by chief executive Dr Mary Quin. Mayor Chadwick welcomed dignitaries, delegates and organisers, noting how things had changed for the better around her council table with the presence of iwi partners via Te Tatau o Te Arawa. Minister Flavell, in his travels, had seen both the best and worse of Māori circumstance, asking us to not forget those in dire need who also have dreams they are trying to fulfil. Dr Quin’s mihi i te reo set the tone, brief but compelling, just as a professional manager ought to be, she says. 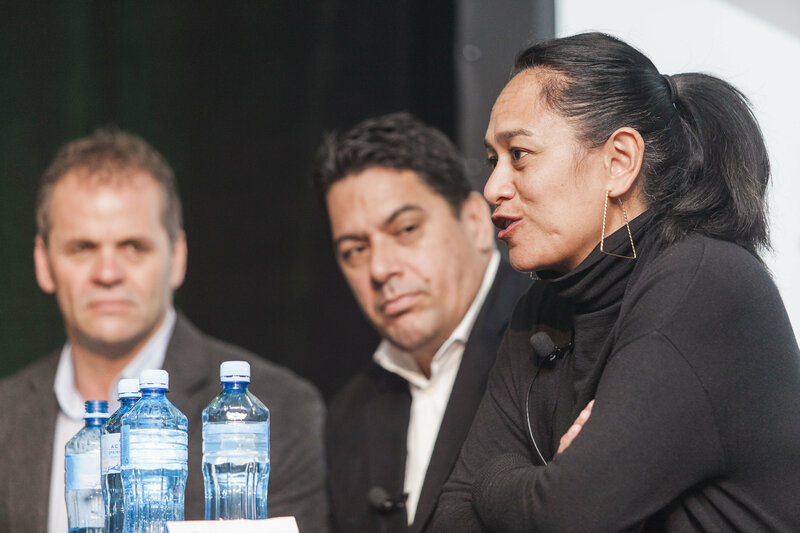 Throughout Matariki X, speakers shared their stories, both personal and businesswise, their failures and successes, and what they believed future Māori innovators and entrepreneurs might look like. To this latter question, Tawera Nikau’s reply was emphatic: “the future Māori entrepreneur looks like you!” Up against the clock, literally, with about 15 minutes each, we were enthralled, challenged, inspired, and entertained by tales of rejection, dejection, tragedy and despair on the downside and passion, resilience, faith and fruition on the upside. We learned that through adversity came success. We learnt to see the power of ‘no,’ not as a sign to surrender, but that one’s idea, execution or timing may simply be out and require adjusting. We learnt that successful entrepreneurs keep going inspite of criticism, self-doubt, prejudice, no money, and no hope. In the dark times, the comforting words of one’s spouse “to get home safely” and that “things will be alright,” the aroha and whakamoemiti of one’s koroua and kuia after a hard week, and the awhi of one’s whānau, are enough to pause, refuel and carry on. One cannot escape the feeling though that the speakers’ successes are draped in great sacrifice, often borne by one’s whānau. Supermarket owner and Ngāpuhi holdings chair Jason Witehira poignantly urges us to spend time with whānau. 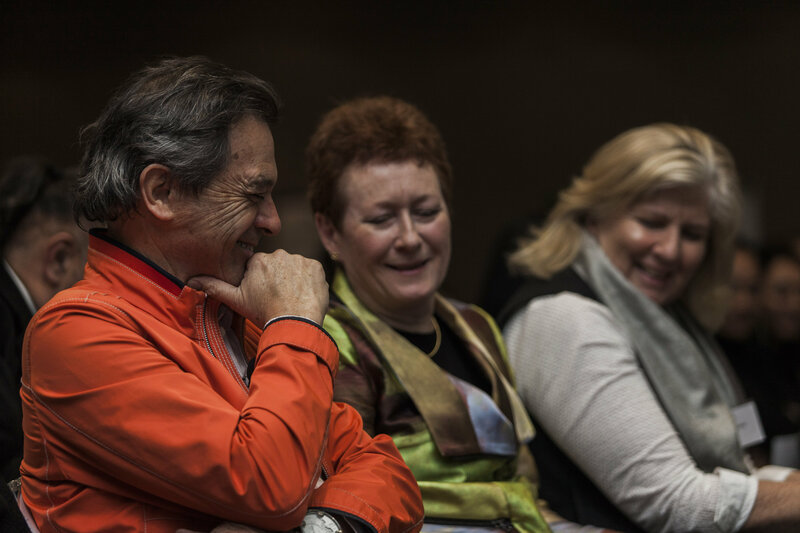 Finding a way to live a balanced life was echoed by others, Crankworx entrepreneur Tak Mutu, Manawaora director Dr Anna Rolleston, and Colab founder Robett Hollis, among them. 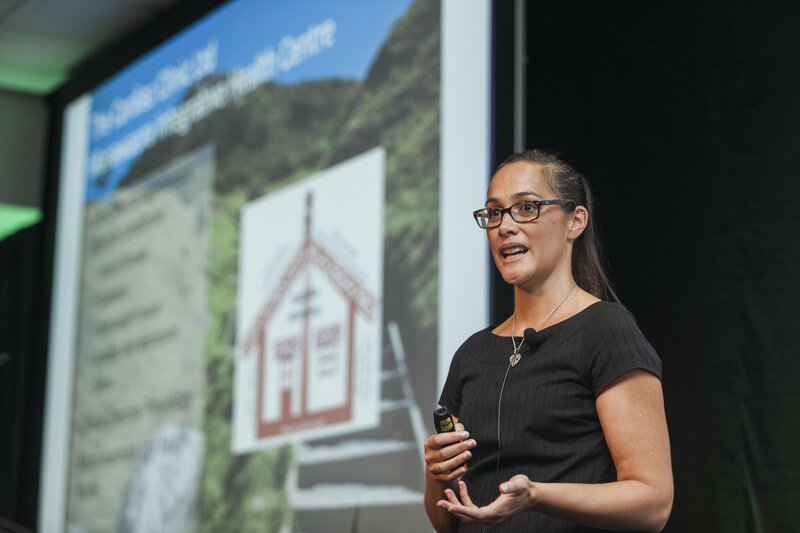 Māori innovation is evident in tribal and nontribal Māori enterprises, across every sector of the economy, both social and commercial. 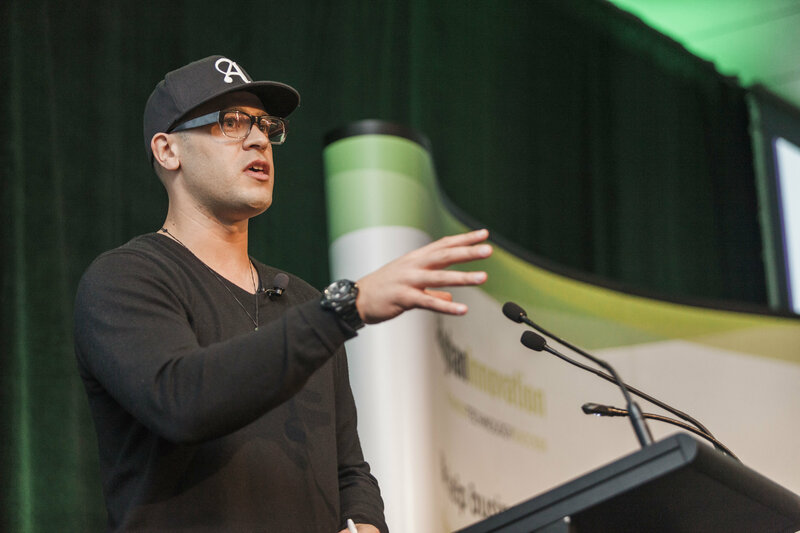 Māori innovators are producing products and services with a Māoriness that is palpable, daring, satisfying and delivering value to consumers globally and locally of every persuasion, not just Māori. While not the core of their talks, some of the innovations speakers had developed include: use of biosensors in clinical physiology (Dr Anna Rolleston); sustainable medium density urban housing for tribal members (Dr Rangimarie Hunia), voice-recognition software and an integrated media production management systems (Bailey Mackey); collaborative entrepreneurial workspaces (Rangimarie Hunia), voice-recognition software and an integrated media production management systems (Bailey Mackey); collaborative entrepreneurial workspaces (Hunia), voice-recognition software and an integrated media production management systems (Bailey Mackey); collaborative entrepreneurial workspaces (Robett Hollis); realtime online medical diagnoses (Dr Lance O’Sullivan); and horticultural robotics (Steve Saunders). Ian Taylor’s visual swansong was to show us what a massive carved pou, encassed in a class pyramid-like structure adorning Auckland’s waterfront, might look like, with its potential to be a globally iconic expression of welcome to Aotearoa. 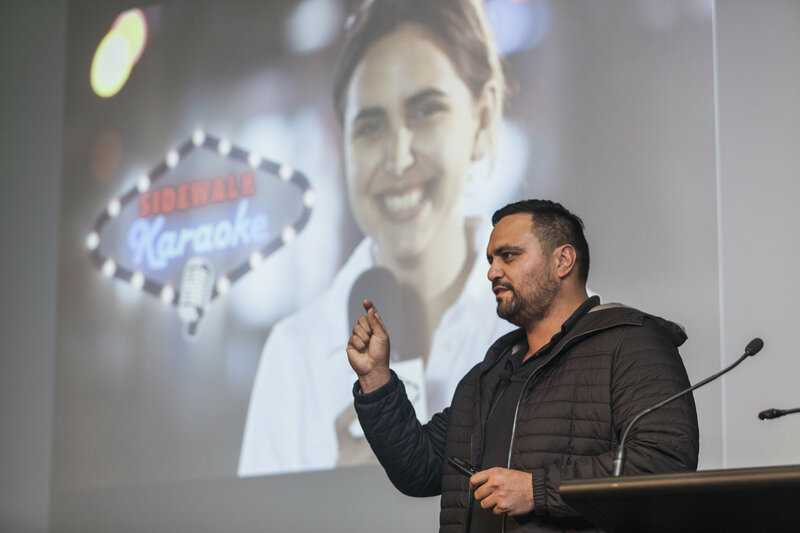 Two Māori entrepreneurs not at Matariki X (Grant Straker of Straker Translations spoke the night before at the sponsors evening and Cliff Curtis of Whenua Films was stuck in transit from the States) are also outstanding innovators in their own right. Straker of Straker Translations spoke the night before at the sponsors evening and Cliff Curtis of Whenua Films was stuck in transit from the States) are also outstanding innovators in their own right. Whenua Films was stuck in transit from the States) are also outstanding innovators in their own right. 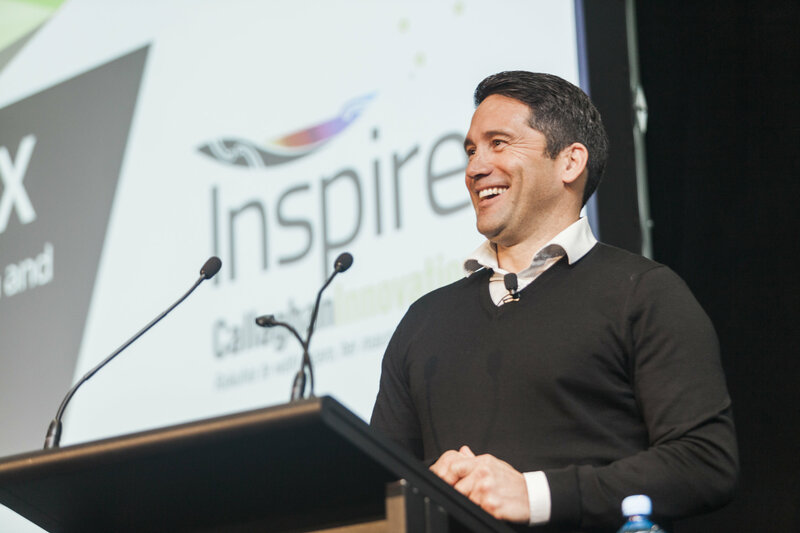 Callaghan Innovation’s Māori economy general manager and chief instigator of Matariki X insisted Cliff would be part of the line up at the next Inspire event. Grant should also be in the mix too. With so many memorable performances, Wetini Mitai-Ngatai’s tales of balancing the demands of Wetini Mitai-Ngatai’s tales of balancing the demands of whānau and drawing on them for awhi, stands out as both hard case and telling; something to which one could readily relate. Matariki X showed that the confluence of indigeneity, innovation, and an entrepreneurship that draws inspiration from our ancestors, Māui Tikitiki a Taranga in particular, seems to be the source of what league legend, tribal entrepreneur and businessman indigeneity, innovation, and an entrepreneurship that draws inspiration from our ancestors, Māui Tikitiki a Taranga in particular, seems to be the source of what league legend, tribal entrepreneur and businessman Māui Tikitiki a Taranga in particular, seems to be the source of what league legend, tribal entrepreneur and businessman Tikitiki a Taranga in particular, seems to be the source of what league legend, tribal entrepreneur and businessman Taranga in particular, seems to be the source of what league legend, tribal entrepreneur and businessman Tawera Nikau says is our UMF: ‘unique Māori factor.’ Māori innovators and entrepreneurs are using the thing that makes us unique, special and different—being Māori—not so much to establish our right to be on playing field of commerce (we are already there with both hands on the ball); they are using their UMF to creatively add value to who they are as Māori and to the collective wellbeing of their people. PangoPango Productions director Bailey Mackey drew us to Dr Josie Keelan who describes Keelan who describes Māori innovation as the mysterious space between tapū and noa, which Mackey colloquially equates with “we rip sh*t up;” not literally, but in business and in a good way. Mackey recites the exploits of Māui, the younger of his siblings, fearless in his child-like inquisitiveness, as examplar. Māui, along with his brothers ensnares the sun, slowing it and improving the quality of life for all humankind. The moral of the story: approach business as our ancestor Māui approached his various endeavours.tapū and noa, which Mackey colloquially equates with “we rip sh*t up;” not literally, but in business and in a good way. Mackey recites the exploits of Māui, the younger of his siblings, fearless in his child-like inquisitiveness, as examplar. Māui, along with his brothers ensnares the sun, slowing it and improving the quality of life for all humankind. The moral of the story: approach business as our ancestor Māui approached his various endeavours. It was only fitting that the sponsors, organisers and helpers were acknowledged. On the roll of honour were Poutama Trust (Richard Jones, Jeanna Love and Jodi Baillie), local Māori accounting and consulting firm GHA (Glenn, Mere and many of their staff), Māori business network Takiwai (Lara Northcroft), with Rolleston thanking his team, Hera Wiremu and Liz Pokia in particular, and GHA’s Shontelle Bishara was singled out for praise as project manager. Matariki X came to its eventual conclusion, with words of wisdom and the Apostolic Benediction (in English and in Māori) led by our kaumātua Pihopa Kingi, and a rousing rendition of Whakaaria Mai, by the upstanding congregation. An online poll screened just before we broke favouring Hawkes Bay as the venue for the next Inspire event. As I am about to take up a post as a lecturer and researcher with Massey University’s Business School in Palmerston North, may I put in a late plea for Manawatū Whanganui (code for Palmerston North) as host of the next Inspire event. That’s a rhetorical proposition e te rangatira e Hemi. This article originally appeared on Callaghan Innovation's Disruptive Influence blog. 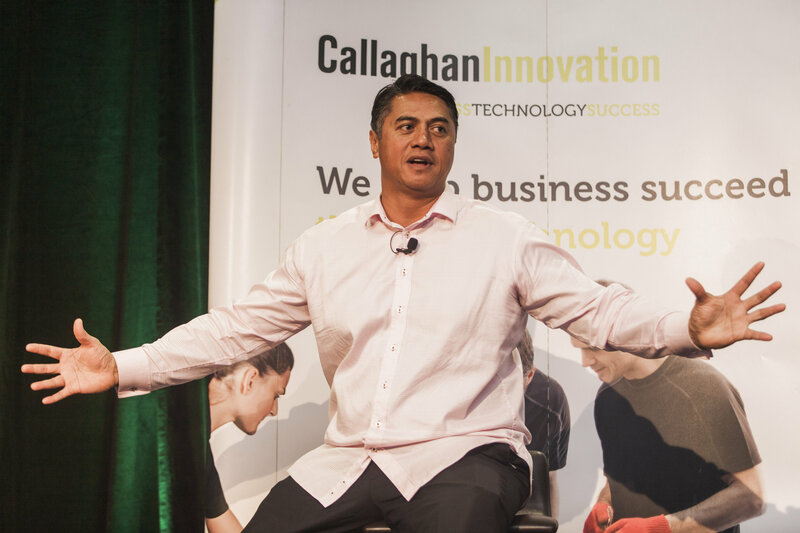 To see more from the Matariki X speakers, head on to Callaghan Innovation's Facebook page.